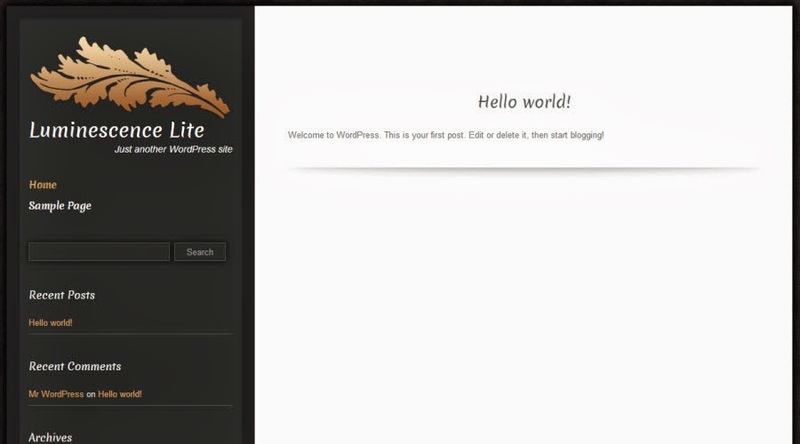 If you downloaded this theme, you will need to log into your site's admin area (dashboard as WordPress calls it). 3. Click on Search and type in "Luminescence Lite" then install. However, if you downloaded the theme first, then Click on the text link "Upload", browse for the luminescence-lite.zip and then click "Install Now"
4. Once uploaded and it's installed, click "Activate" and then you're done! For most people, you won't be using this method but is available as an alternative. Find the unzipped folder "luminescence-lite" and make sure the theme files are inside that and not a double folder named the same. If there is, then upload the folder that has the theme files showing in it. Find the Luminescence Lite theme and click "Activate"